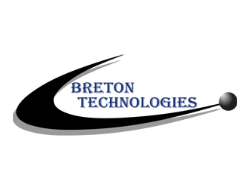 Since 1993, Breton Technologies has been providing on site and remote IT related services for businesses throughout the Province of Nova Scotia. Located in Sydney, the company travels regularly throughout Cape Breton Island and remains connected to its clients with dedicated and on demand remote connection services. In recent years it has been extending support to clients on mainland Nova Scotia through its remote support solutions. Breton Technologies possesses extensive skills and experience in a wide variety of IT disciplines. The company assesses, designs, builds and implements true solutions for its many different types of business clients. Whether it’s a company of one or a large enterprise in a demanding environment, Breton Technologies delivers.